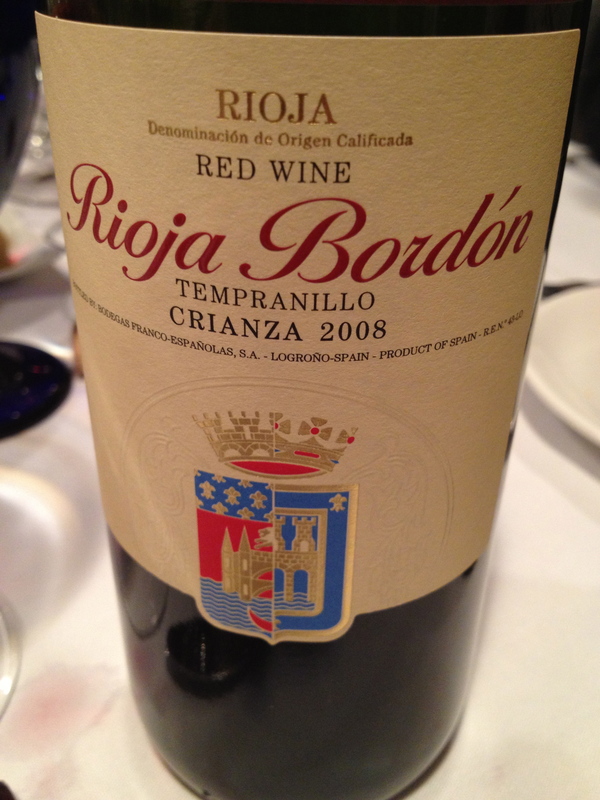 The word Bordón means a pilgrims’ walking stick, exclaimed John Perry, Export Area Manager for the Bodegas Franco-Española winery in Rioja. He explained that during the Middle Ages, one of the most popular destinations for Christian pilgrims was Santiago de Compostela and the shrine of St. James the Great, one of Christ’s apostles. The main route to the shrine went right through what is now the property of the Bodegas so their red wines were called Bordón in honor of the pilgrims who followed this route. John led us through a tasting of the wines of the Bodegas Franco-Española and told us that the winery was founded in 1890 after phylloxera devastated the French vineyards and many French producers moved to Spain. 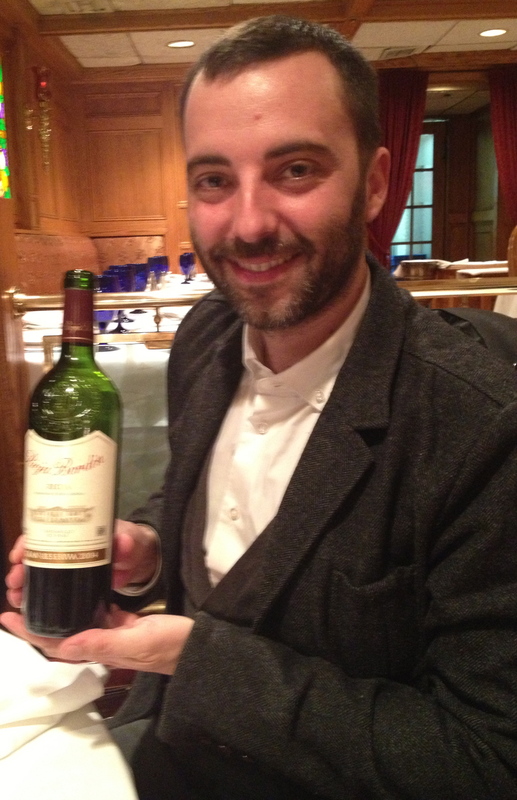 In 1890 Frederick Anglade Saurat, of the Bordeaux firm Anglade, founded— along with other Spanish partners–Bodegas Franco-Españolas. By 1922, Bodegas Franco-Españolas, which translates in English as French Spanish Wineries, became entirely Spanish owned. Carlos and Rosa Eguizabal now own the winery and the third generation of the Eguizabal family currently manages the winery. The winery is located in a long valley in the Northern- Central part of Spain. Bodegas Franco-Españolas’ wine has a very special microclimate defined by two mountain chains, north and south, and the Ebro River, that crosses it from west to east. Bodegas Franco-Españolas farms more than 200 acres of vineyards and also collaborates with farmers with whom they have had long-term relationships. 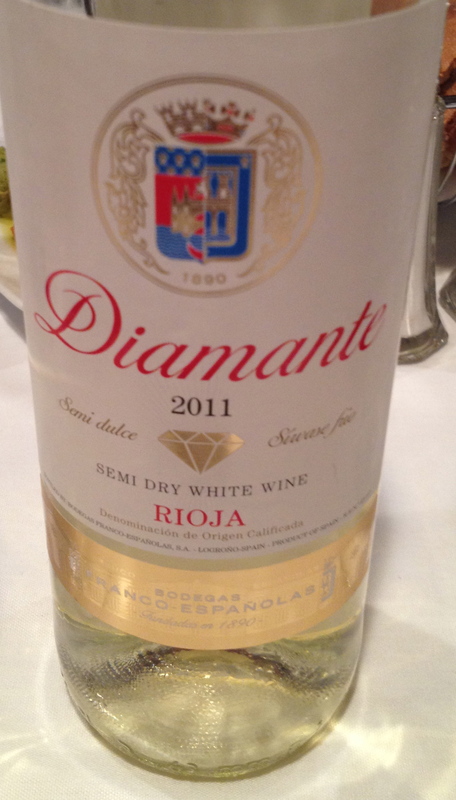 John pointed out that in the beginning Rioja meant white wine and there was a high tax on it. 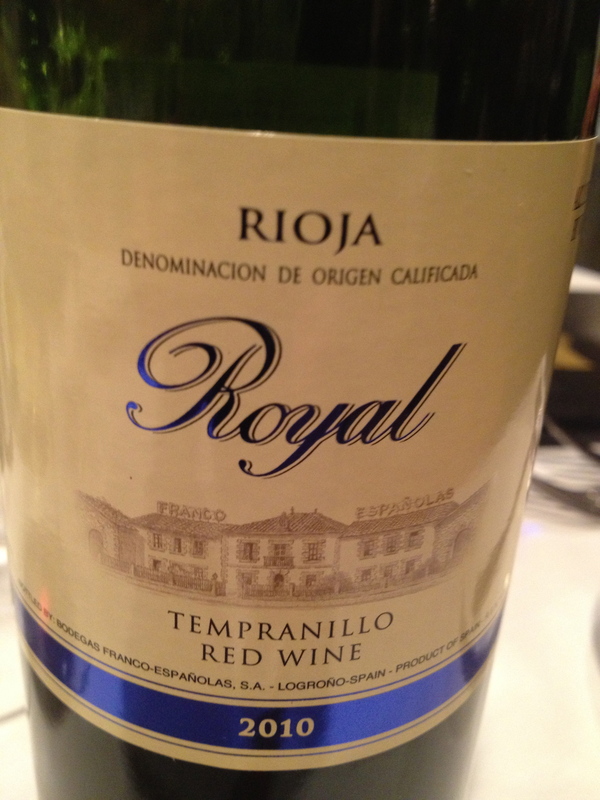 Producers added red wine (tinto) to make a blush wine to avoid the tax and this is how red wine developed in Rioja. John said the Spanish word for this is clarete. In the beginning producers were using native Spanish red grapes and using Bordeaux production methods. With a high tax on white wine and producers from France coming into the Rioja region, it is no wonder Rioja is now known for its red wines. John said that phylloxera did not attack the Spanish vineyards until 1920. 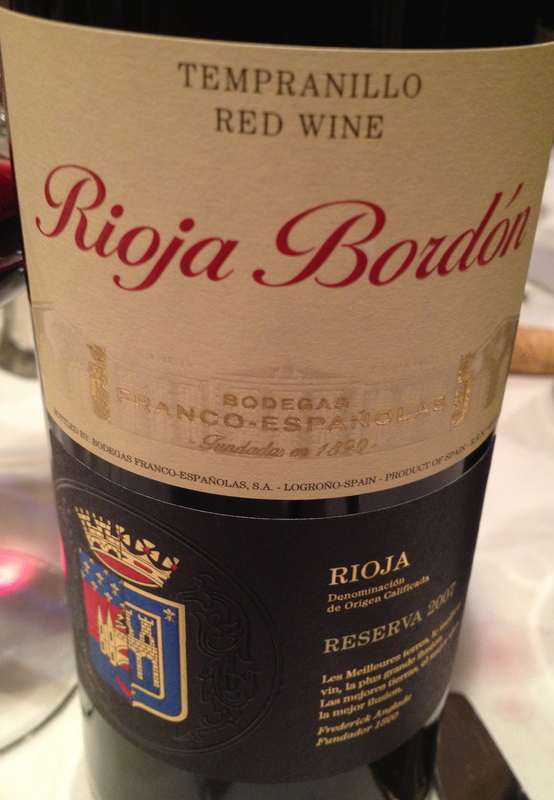 Rioja Bordón Reserva 2007 made from 80% Tempranillo, 15% Garnacha and 5% Mazuelo. John said that they age all of their wines longer than legally required – both in barrel and in bottle. All barrel aging is done in American oak. 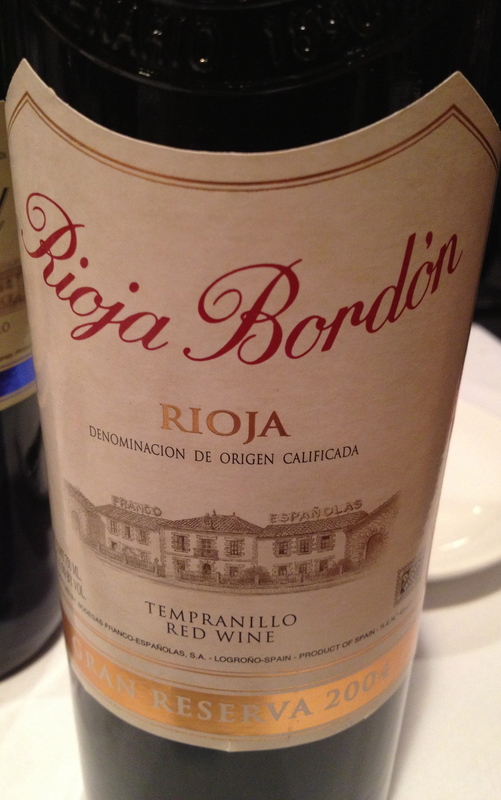 He said that Rioja was always aged in American oak and that they had to be 225 liter barrels. Crianza must age 1 year in oak. Reserva must age 2 years and I year must be in oak and the Grand Reserva must age 2 years in oak and three years in the bottle. When the tasting was over John added that the Bodegas Franco-Españolas’ motto is “Quality and Honesty” and that the winery strives to uphold the traditional production of certified-origin Rioja wines and continues to seek the utmost quality in winemaking.